The death of the dream of Marie-Claire? – For the fainthearted . . . The death of the dream of Marie-Claire? The opening guitar chords of Peter Sarstedt’s song were sufficient to induce a mood of fascination and discontent. There was no Internet for a 1970s teenager to consult, so the meaning of many of the lyrics could only be guessed, but there was enough that was readily comprehensible to conjure a vision of a world entirely removed from the life of a rustic, working class youth. Marie Claire was the sort of girl who would have been the envy of those of us she had left behind, I never believed that inside her head she returned to her lowly-born roots. People with such a burning ambition have to be able to set aside such conscience. It was sad to read the BBC news yesterday of the death of Peter Sarstedt after six years of a progressive neurological illness, he created one of pop music’s most enduring characters. The woman who inspired Sarstedt’s song is said to have died in a hotel fire in Vienna in 1965, but there must have been many more like her, many like Marie Claire in the song. There must have been many people who had spent their childhood among the ashes and chaos of 1940s Europe and who had emerged determined to forever leave their pasts behind. Trips to Paris became opportunities to spot Marie Claire, or, at least, spot candidates for the character of Marie Claire. Standing at the top of the Eiffel Tower one Sunday afternoon in 2004, we looked down on the sea of buildings around and tried to decide which apartment would be similar to that of Marie-Claire; walking through the streets we wondered where she might go for her shopping. Where would Marie-Claire buy her baguettes and croissants? 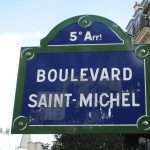 Walking the Boulevard Saint Michel on a Sunday afternoon a a decade ago, I looked for her. It was, of course, a vain task; on a Sunday, she would be having lunch with friends. Spending a week in Paris in May of last year, there were many opportunities to look for a Marie Claire. None of those I saw seemed quite right. Perhaps Peter Sarstedt’s lyrics had such power because, in my mind, France was the embodiment of the risqué and the radical. 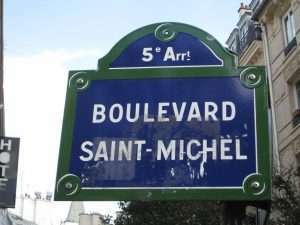 Whether Paris or the Riviera, the Left Bank and Juan Les Pins were a world apart from the world of the 1970s England I inhabited. Perhaps the enduring appeal of the song derives from something much deeper, though. Peter Sarstedt fills the lines with things unattainable by ordinary people; attire, friendships, places, no-one except the most wealthy or the most exceptional could aspire to such exclusivity. This was a world we could never enter. Perhaps the fascination of Paris will never pass, but the discontent of forty years ago has faded. Sarstedt was right, the lives of the rich and famous do not seem filled with happiness, and, even though I do not think Marie Claire pondered the back streets of Naples, I do not think that her latter years were happy ones.